If you’ve read many of our reviews here, you’ll know we’re big fans of Len Kabasinski, the micro-budget director who’s brought us many fun genre movies. We’ve even reviewed this before, under its original title, “Warriors of the Apocalypse”, so please read our initial review here. Why are we reviewing it again? Well, Kabasinski decided the initial release wasn’t up to scratch (it does seem like the original post-production was quite troubled), so decided to re-edit and improve some of the special effects. If I’m reading the IMDB page right, it’s also a bit shorter than the original, clocking in at a splendidly trim 74 minutes. No sense recapping what we’ve already written (as nothing significant or plot-dependent has been changed), so let’s talk technical stuff. Everything works a lot better! The fights snap along, and the editing is top-notch; while I haven’t done a strict comparison between the two, it feels like hundreds of changes were made. The special effects, although still definitely at the cheap end of things, look sharper, the blood looks more realistic and the explosions (which I liked before) also look a little improved. I want to give Len Kabasinski some praise. There aren’t a ton of filmmakers who’d be happy with someone coming in and re-editing their movie and tweaking the special effects, but that’s what he did with Chris Young (who joins Len on one of the DVD’s new commentary tracks). From the – admittedly little – I know about him, he seems a remarkably ego-free guy, who’s happy to learn from anyone and everyone. Additional praise goes to inviting the Red Letter Media guys to do the other commentary track. Even though Mike, Rich and Jay are clearly fans, they’re also totally honest about all the technical shortcomings, and honest commentaries are a rare thing. Being a fan of Red Letter Media too, it was cool to hear them talk about it, and they gave plenty of insights into the making of micro-budget movies, as well as wandering down many conversational paths (how they’d probably fail to survive an apocalypse was a highlight). They’re funny guys and their commentary is well worth listening to (as is Len’s). One of the things about grindhouse and 80s / 90s shot-on-video stuff is that they were often pretty short. Donald Farmer’s early movies clocked in at under an hour, and the history of low-budget cinema is littered with 70-75 minute gems. Okay, it’s not all of them, or even most, but it’s not necessarily bad to have your movie come in at that length. I think a few low-budget moviemakers, perhaps worried about selling to TV and their 2 hour (with commercials) slots, have forgotten this, and we have been subjected to many “hey, the lead’s sister is trying to get to this place for some reason” subplots which go nowhere and add nothing. What I’m getting at in a roundabout way is that there are thousands of movies which could benefit from what Kabasinski has done with “Apocalypse Female Warriors”, and that’s trim all the fat. Exciting 75 minute movies are better than sort-of-okay 90 minute ones (although I liked the original version just fine, this is much improved). It’s available where all good movies are sold, and I highly recommend it. 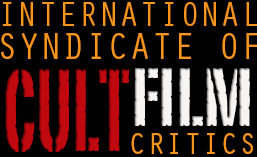 Support low-budget filmmaking, because if you don’t then we’ll have nothing left to review. This entry was posted in Reviews and tagged Len Kabasinski, Red Letter Media. Bookmark the permalink. Low budget is where it’s at. I love this stuff. Troma and Charles band are also great. But they may be a little above this on the money tear.